← What Do the Colors of Your Favorite Pens and Inks Say about You? From smart phones to handheld tablets, modern technology continues to inundate us with countless and creative ways to replace the need for pen and paper, leaving many to wonder if penmanship still really matters. Instead of thank you notes, we now text and tweet our appreciation. Rather than sending invitations and save the dates, we email and sync important events on our iPhones and BlackBerry devices. Long gone are the days of stationery and handwritten notes, and even the use of organizers and planners can evoke a light-hearted teasing and chuckle in some public settings. For some, this discussion is less about an artistic loss, and more about acceptance of reality. Many feel that times have changed, and as a result, so too should our ways of communicating. There are many who believe that cursive writing and standardized writing of any form is “old school” and “aesthetic.” And we agree, which is exactly why we will always like and miss it. 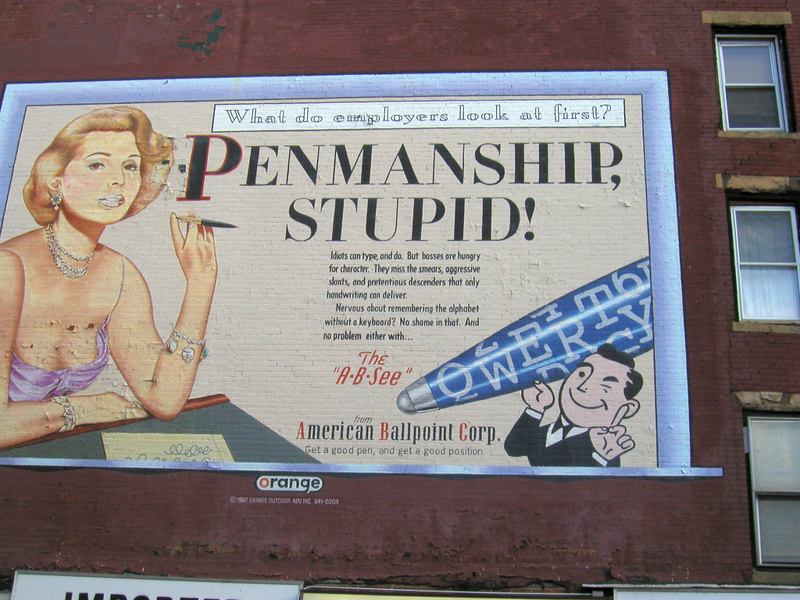 Do you think penmanship still matters? Or is it a thing of the past? Do you miss receiving handwritten notes? Or do you prefer email and text messaging? Let us know! I think it will be a huge loss to our children. I love technology. It definitely has its place, but it cannot replace a beautifully written letter from a loved one. A text from everyone looks the same, but a letter written by someone you love is unique.